Murphy, according to the Denver Business Journal, is believed to be the second woman in history to oversee Colorado’s oil and gas industry, and was previously the assistant director for the energy and minerals division of the Colorado Department of Natural Resources where she works on oil and gas, mining and reclamation issues from the policy, technical and legal perspectives. 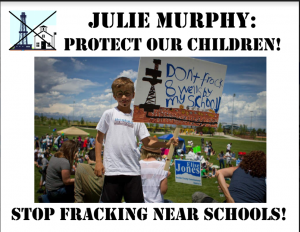 In addition, Murphy worked with the COGCC’s hearings and regulatory affairs manager, directing its legal affairs and attorneys, and prior to that, Murphy worked in the attorney general’s office representing the COGCC and the Division of Reclamation, Mining and Safety. Past COGCC hearings have consisted of anti-fracking activist using public comment periods to sing, chant and sometimes yell at the COGCC. Last fall, the COGCC even had to institute new rules on procedure. 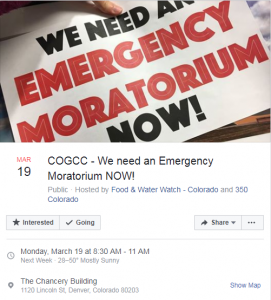 But somehow, despite all of these distractions, the COGCC continues to work with stakeholders and managed to pass new flowline regulations welcomed by Colorado’s energy industry. After months upon months of political theater from national ban-fracking activists at just about every COGCC hearing, the commission went ahead and adopted a new process to help ensure constructive dialogue and increase opportunities for public comment at its meetings. But new process or not, anti-fracking activists will be there with “bells on” and posters in hand. Colorado anti-fracking activists have spent a lot of time on such shenanigans as planning and prepping protests at the “wrong door” of a county commissioner’s home, staging poorly timed “die-in” protests, shutting down an energy company’s community meeting, crashing the Colorado Governor’s book signing, chaining themselves to bulldozers, dancing for snow, and planning school “walk-outs” at schools in Lafayette/Boulder County. 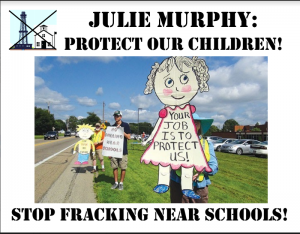 For sure, “Keep It in the Ground” groups have upped the ante lately on attention-seaking antics, but one thing is very clear here — anti-fracking activists have a case of analysis paralysis, planning numerous protests, but not accomplishing much on the content or messaging fronts when all is said and done. With facts prevailing over anti-fracking talking points time and time again in Colorado, we can likely expect to see more desperate attention-seeking stunts in the form of bigger and brighter anti-fracking posters and signs.